Ready to be tucked in for bed! 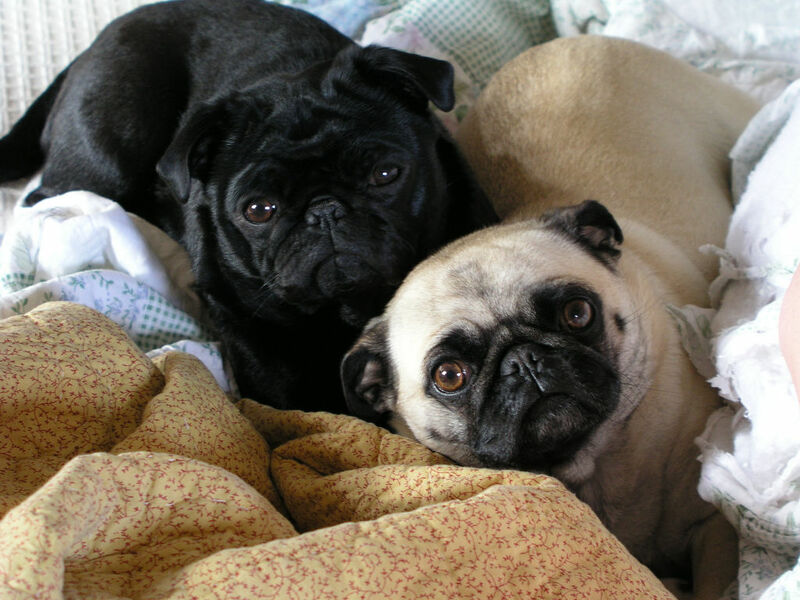 These cuddly little pugs look ready for a bed time story before lights out! 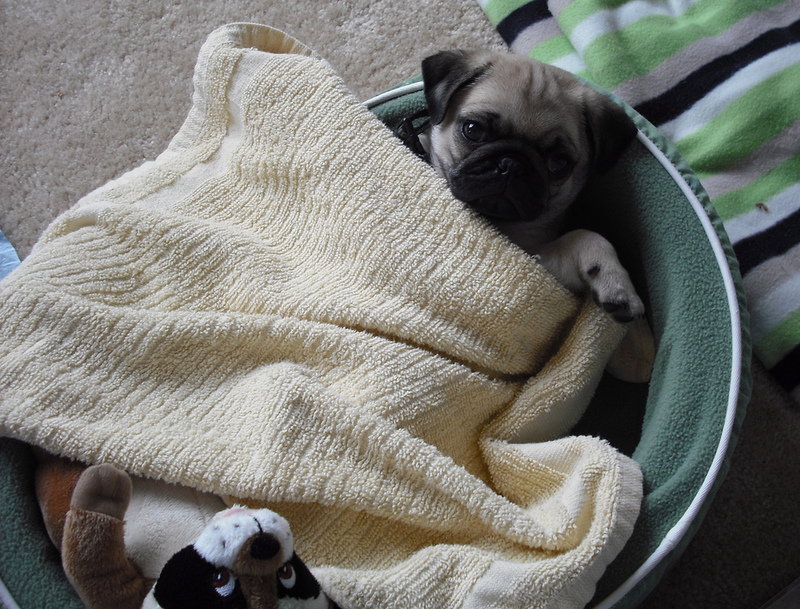 We know our pug takes bed time very seriously. She’ll even go put herself to bed in her crate if we stay up too late! 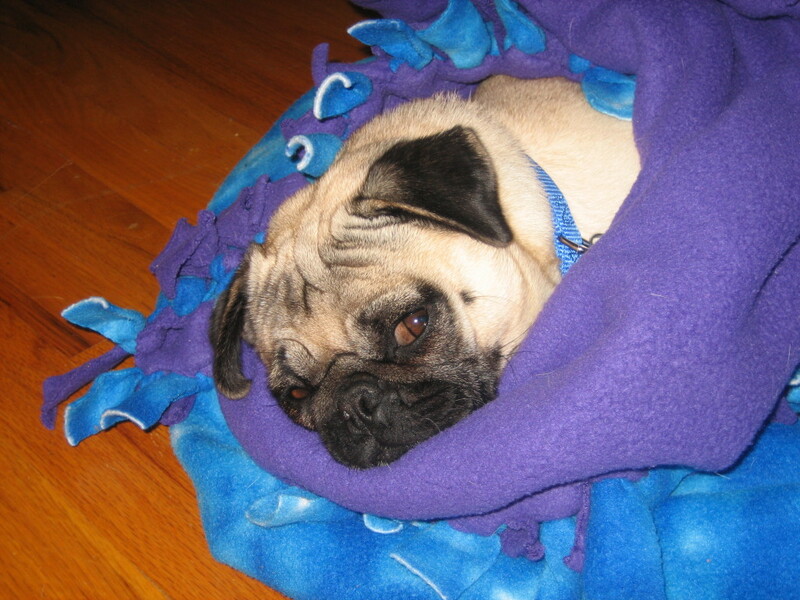 Some days when you wake up, you just want to bask in the snuggly warmth of your blankets. We think this is something that people and pugs can all agree on, and today might just be one of those days. 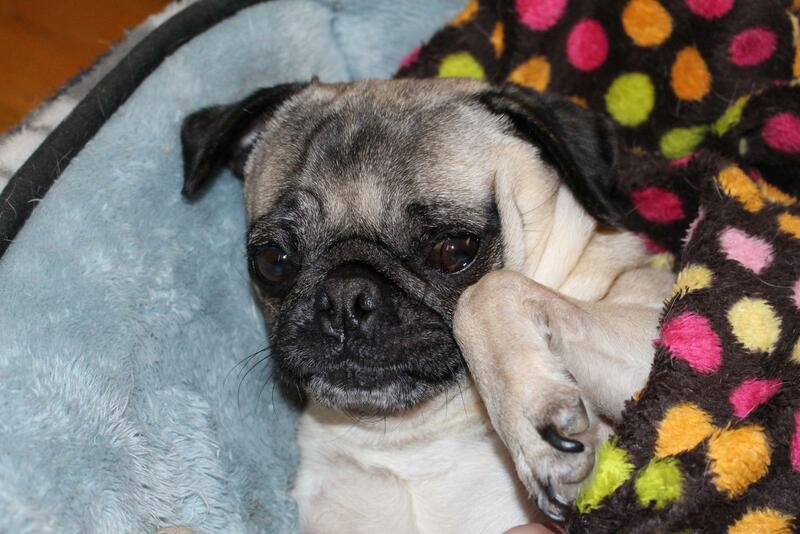 It’s time to unveil the winner of our March Pug of the Month contest hosted on Facebook (https://www.facebook.com/AboutPug). 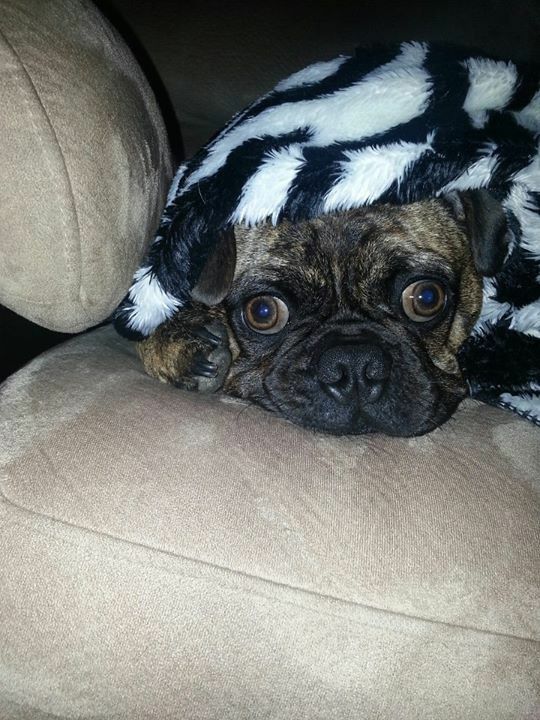 We’re delighted to introduce you to a charming pug named Camo who is enjoying some snuggle time in his zebra print blanket. Congratulations to you, Camo! Pug life doesn’t seem half bad. We’ll admit that we’re a little jealous Nickie gets to stay snuggled up in her bed all day if she wants to, and judging by her face, we think she wants to today.